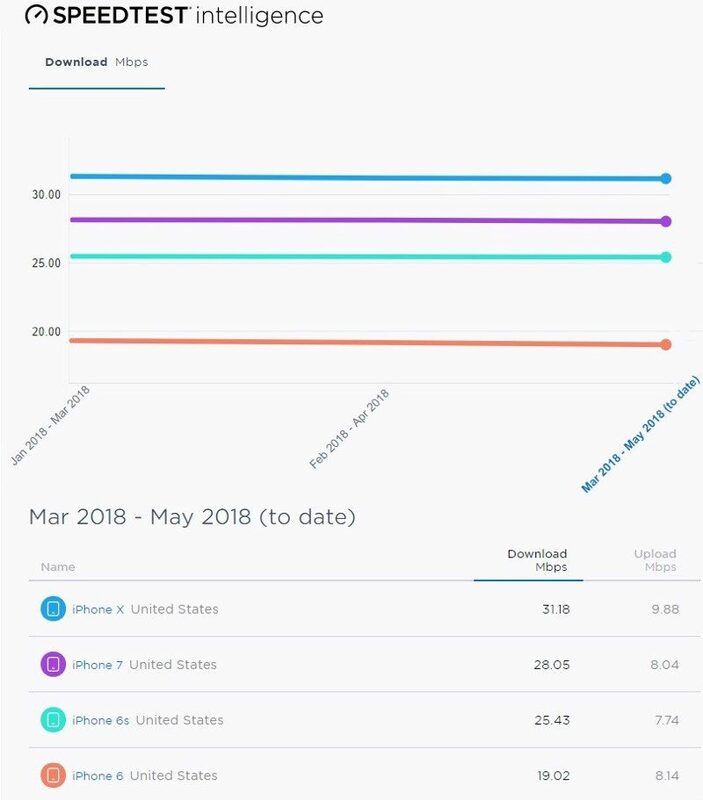 Verizon Wireless was awarded the title of the fastest nationwide mobile network in PCMag’s annual mobile network comparison, the results of which were released this morning. For its test, PCMag analysts drove within and between 30 cities in the United States to test mobile network speeds using four Samsung Galaxy S8 phones. More than a dozen locations in each city were tested, with the site gathering more than 124,000 data points to reach its conclusion. Scores were calculated taking into account metrics like download speed, upload speed, latency, reliability, and consistency. Verizon was named the overall fastest network after it won or tied in 19 of the 36 cities that were tested across the United States, marking Verizon’s 5th annual victory. Samsung’s flagship smartphone, the Galaxy S9, equipped with Gigabit LTE and 4×4 MIMO, beat out the iPhone X, which does not have 4×4 MIMO. Of Apple’s iPhones, though, the iPhone X saw the fastest upload and download speeds thanks to its adoption of 256QAM (Quadrature Amplitude Modulation), which boosts signal to allow for more data to be transferred at one time. 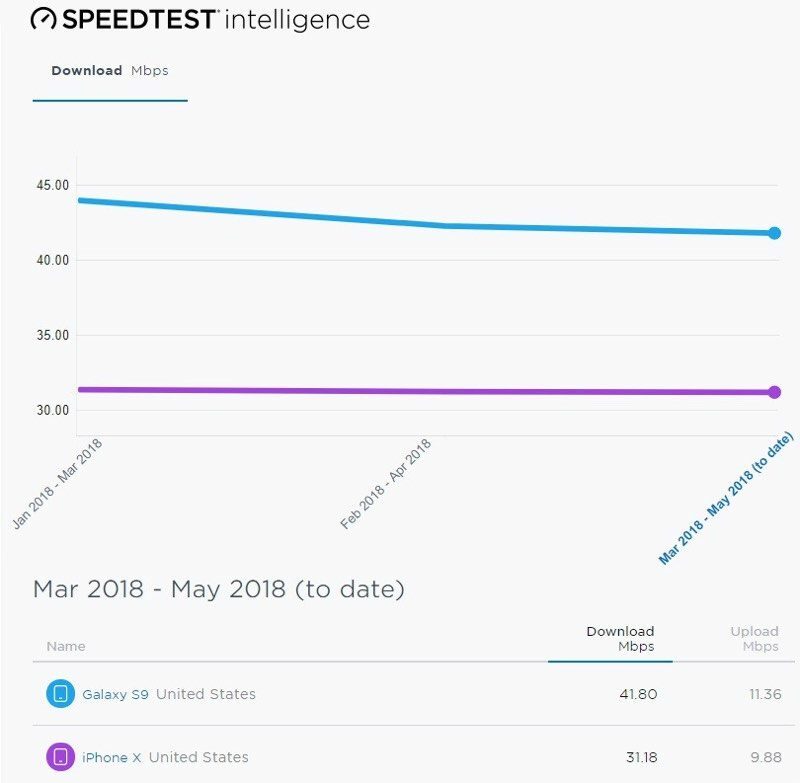 The full results of PCMag’s 2018 mobile carrier speed testing can be found over on the PCMag website.